Individual attitudes and habits are formed at a very early age. This fact accentuates the need to provide environmental education and hands-on experiences to children. We need to give students the environmental knowledge and understanding in order to create the next generation of responsible, environmental stewards. By increasing a student’s knowledge using educational programs concerning recycling, they develop their attitudes and behaviors in a positive way thereby gaining environmental awareness. In some cases, school children are better informed on critical environmental issues than their parents, and environmental education received by students indirectly influenced their parents in recycling efforts. 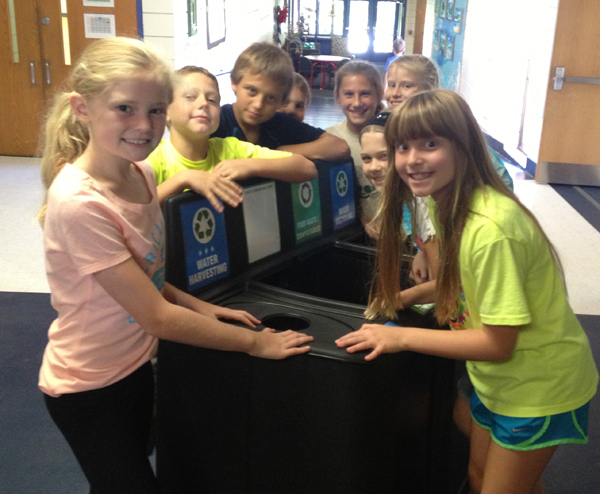 Chesterfield, MO Elementary School involves students with a fun recycling and composting program using the GreenDrop Recycling Station, with instructional labels that includes Water Harvesting and a Food Waste and Compostables with daily updates. The rapidly increasing world population, combined with an escalation in consumption of natural sources, the lack of effective public education, and the unconscious use of our natural resources has become a growing environmental concern. In developed countries it has been identified that there has been a decrease in food waste, yet an increase in packaging waste. These negative effects have caused society to worry about the future of our environment. A number of natural resources have been destroyed for the production of consumables that then become solid wastes. The only possible way to reduce the destruction of our natural resources is by producing less solid waste and increasing recycling. 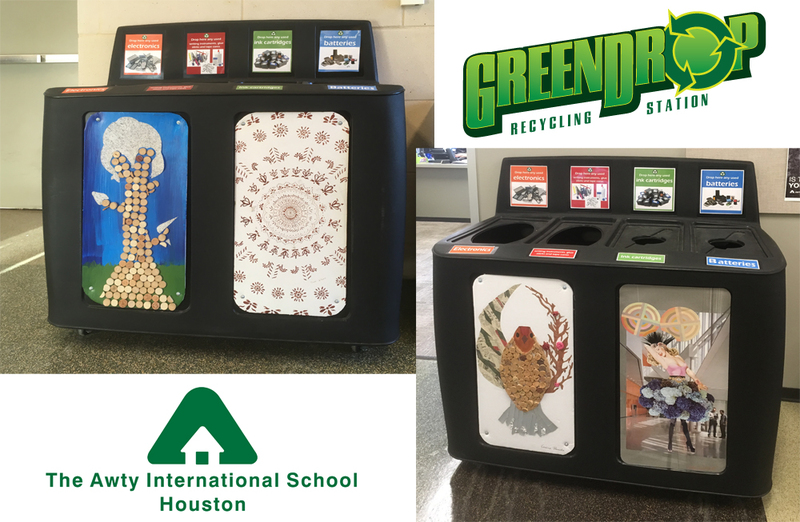 Awty International School in Houston, Texas is striving to become a zero waste campus. Quite an ambitious goal for a Pre-Kindergarten through 12th grade private school. Awty educational program combines high academic standards that celebrates all cultural, national, and linguistic diversity. Preparing it’s graduates to be global citizens who are concerned with contemporary issues and visions for the future. Olivier Logette, the school’s sustainability coordinator, wants to educate Awty students about issues regarding recycling, up-cycling, and refurbishing daily items used in school activities. Challenging them to think about how small environmental actions can contribute to the greater global good for generations to come. After some research, Atwy chose the GreenDrop Recycling Station from Pacific Cascade Corporation. The unique GreenDrop Recycling Station was developed through the multi-year efforts of the Portland Trail Blazers head office and the Moda Center. The arena’s landfill diversion rate increased from 38% in 2007 to over 90% in 2012, in part by replacing old-style trash cans with GreenDrop Recycling Stations. GreenDrop stations helped reduce landfill contributions by visually showing users how to properly dispose of recyclable items. GreenDrops were a key tool in reducing their venue’s environmental footprint through fiscally responsible, and sustainable operations. “Everyone here at Awty loves those GreenDrop stations and the fact that our school goes beyond the normal recycling streams. Our students, faculty, and staff find the bins present themselves very well and are very functional,” added Logette. 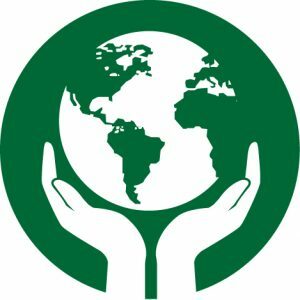 Providing students with environmental awareness will prepare them to become the future champions of our environment, knowledgeable about environmental issues, our limited natural resources, and to be sensitive to nature. That way, subsequent generations can enjoy and care for our environment better than we are doing today.